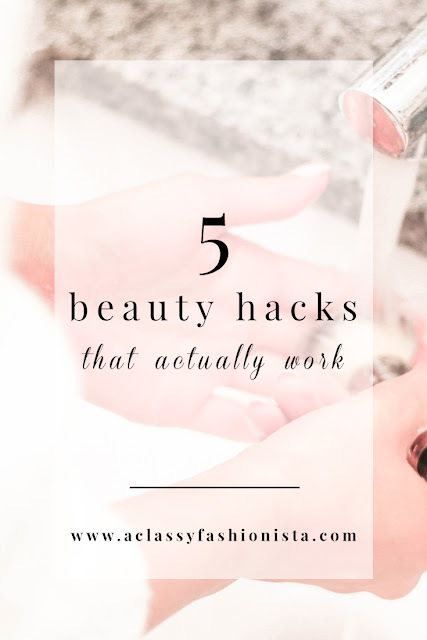 I don't know about you, but I am obsessed with beauty hack tips and tricks. There have been some that I've tested & tried and I am here to share the knowledge gold with you! This is definitely one of my favorite hacks ever! 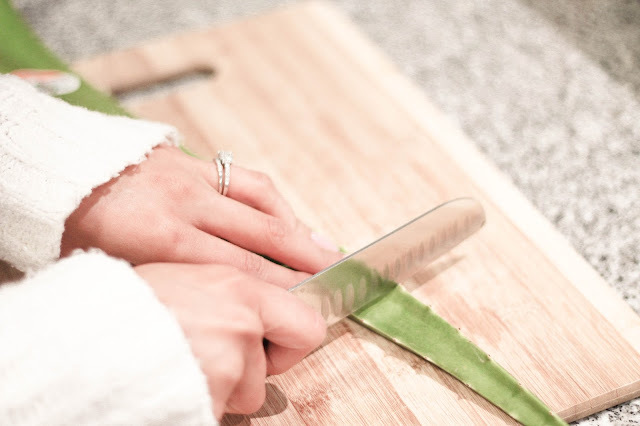 If you go to the grocery store, you can find an entire aloe leaf for like $1.50. Cheapest hack ever! So, what you do is cut a strip about 1.5 inches wide across the leaf. Once you have your little piece, then it's time to cut that in half, but through the center of it so that you expose the insides. Try and cut it as centered as you can so that way both sides have the same amount of goodness! Then, I simply take the two pieces, one in each hand, and I rub it in circular motions all over my face, concentrating the aloe gel on my tough spots. In the past few months that I've been doing this, my scars have started to diminish and I am finding that I need less moisturizer. It also gives a glowy look to your skin! Once you have the gel rubbed in on your face, then just let it sit and work its magic. I usually do this at night right before going to bed, and then I let it stay on overnight. The longer you leave it on, the tighter feeling your face will have as it is drying, but it doesn't hurt or anything. It kinda feels good because you know it's working! 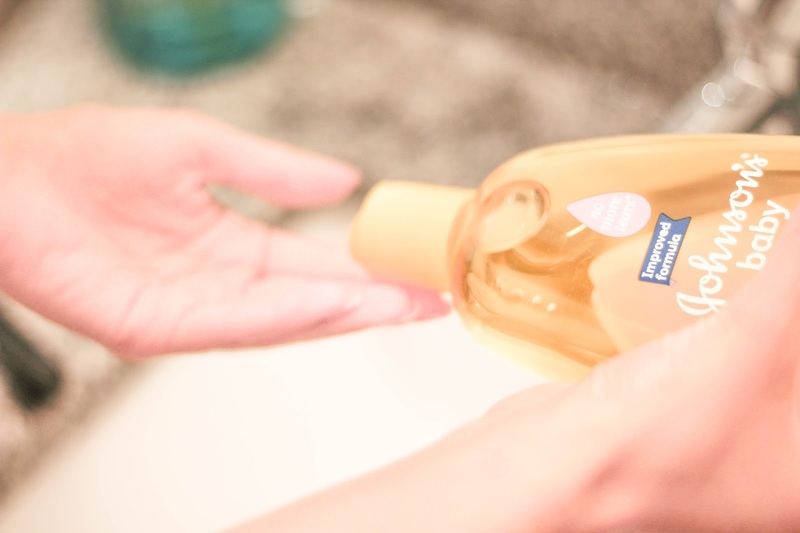 In the morning, simply rinse off with your normal morning cleanser and carry on with your morning routine. THIS! Ladies, you're going to want to try this. I don't know how many times we tell ourselves our feet will be fine in those brand new five inch stilettos and then two hours later we can't even stand because our feet hurt so bad. Well, this little hack might save your feet for just a little bit longer. During the fall I bought the cutest pair of open toes booties, but they were the most uncomfortable shoes I had ever worn. Within the first hour, my feet were already hurting. That's when I started to get creative. I decided to rub deodorant on my toesies where the boots were rubbing, and guess what?! The deodorant was slippery enough to reduce the friction almost completely! I'm sure other people have discovered this before--in fact, I know they have, but I just felt so smart for figuring this out all by myself! haha! This is such a common hack, but I always forget about it! Do you ever get yellowish nails when you wear too much dark nail polish during the fall & winter?! I totally do because my nails stain so easily. What better time to try this hack when it's officially springtime and the lighter nudes, pinks and whites are coming!? It's super easy. 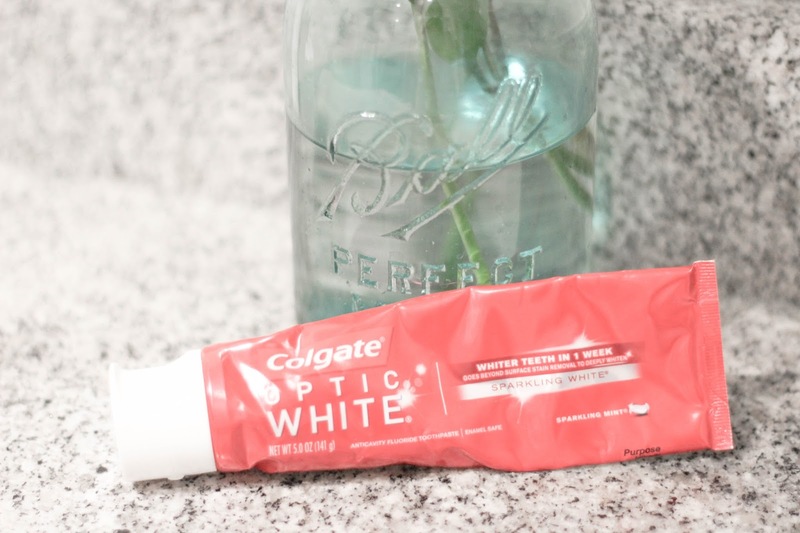 All you do is squeeze a little bit of mint toothpaste onto your nails and rub it in a bit to make sure it covers the entire nail surface. I leave the toothpaste on for 5-10 minutes and then wash my hands! My nails are always so much brighter after doing this hack! If you're anything like me, you hate washing your makeup brushes. It's just such a tedious task, and yet, so, so necessary. If you have a bazillion brushes to wash like I do, you probably go through tons of brush shampoo every month and that ish is not cheap. So, what I've learned and have been doing for the past few years is to use baby shampoo. It's like three bucks for a huge bottle, plus it smells heavenly, too! 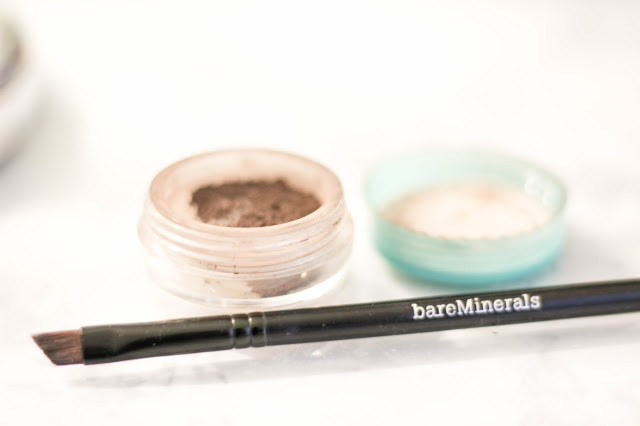 It smells like babies and happiness as you are doing your makeup! Just a little side note: If you are planning on using the makeup brushes on other people, please use a sanitizing brush shampoo. If it's just you using the brushes, then the baby shampoo will sanitize it enough. 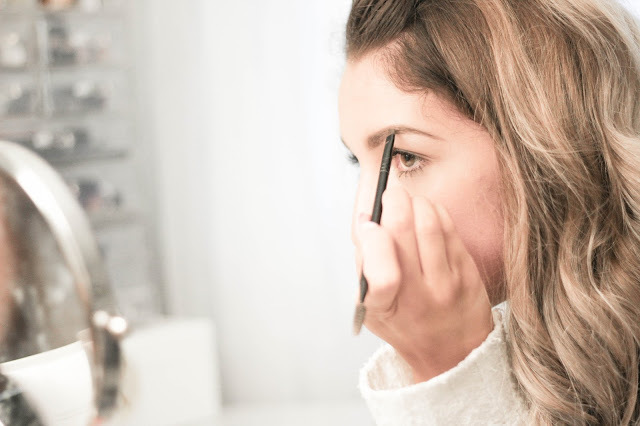 Brush shampoo is obviously meant to sanitize--especially eye brushes. Those are ones not to mess around with when using brushes on others. Well, those are my new found and tried hacks. Now it's your turn! Have you ever tried any of these before? Let me know how they work out for you if you try any! What are some of your beauty hacks? !